Director Sarjun KM is better known for his short films, Maa and Lakshmi, more than his debut feature film Echcharikkai. Both the short films had women as their leads, both dealt with progressive themes sensitively portrayed and both, unsurprisingly, created a stir in their receptions thanks to an audience that was confused about how to react. The short films became a YouTube sensation, the views multiplying in a crazy fashion for people wanted to know what was right or what was wrong with these films. Maa was written by Priyanka Ravindran. So is Airaa. Starring Nayanthara in a dual role, Airaa is neither fresh nor thematically different. It follows the standard template of most horror films and it makes you wonder if this is indeed the director who gave us those distinguished, eye-opening short films. Is it a question of length? There is some formal ambition at display but too fleeting to lend any confidence. In Airaa, Yamuna (Nayanthara), a journalist tired of domestic trouble from her parents, elopes to her ancestral home occupied only by her estranged grandmother and Mani (Yogi Babu). Why is the grandmother estranged? What is the reason for the discord between Yamuna’s parents and her? There is a hint that Yamuna’s father wasn’t always a kind man, but it is not built on or returned to. In a prologue, two police officers visit a locked house and see things suspended in mid-air before they are dragged out by an invisible force. Like these things, a lot of subplots are left to hang in Airaa with no explanation. We don’t even get details on the kind of woman that Yamuna is. Yes, we see her giving it back to a misogynist but that’s more of a Nayanthara punch scene than Sarjun’s Yamuna. We know she is tired of answering agony aunt columns in the print publishing she works in. She desperately wants to start a YouTube channel. But when she gets a chance, she starts a channel for fake haunted house videos. Really? That’s her bright idea? The channel is apparently a hit, reaching 1 million views. The horror. Even YouTube Tamil film critic Maran, playing himself, has a trademark snarky remark to the channel. The horror scenes are more of a tease than genuine scares. Sarjun’s Airaa is too invested on foreplay with very little action in return. The first half drones along with occasional horror film clichés strewn around Yamuna’s grandmother’s house. For a long time, Airaa plays with comedy and thrill finding itself unable to do either with conviction. A subplot involving Amudhan (Kalaiarasan) and supposedly unconnected deaths ambles along. One feels like catching Sarjun’s shirt and screaming, “let Yamuna and Amudhan meet already!” He does display some swagger with the camera. The opening credits run over an enduring Rube Goldberg machine that becomes the two faces in Airaa’s typescript. A shot follows a butterfly from exteriors to the insides of a bus, beginning a collision course finally resting behind Nayanthara, a tasteful superstar introduction but also Goldberg machine-like that ties into what we learn at the end of the film. Another shot switches between Amudhan climbing floors on foot and Yamuna forced into an elevator as her world literally turns upside down. The butterfly is a little too in your face choice (Hey! Butterfly Effect!) but the end of this sequence – also the intermission shot – rests with Kalaiarasan on top of a terrace that is shaped like the insect. There are more problematic things in store from the team that gave Maa and Lakshmi. Airaa gets an obvious, unimaginative flashback where we meet Bhavani (Nayanthara for the most part, Gabrella Sellus portraying a younger version). 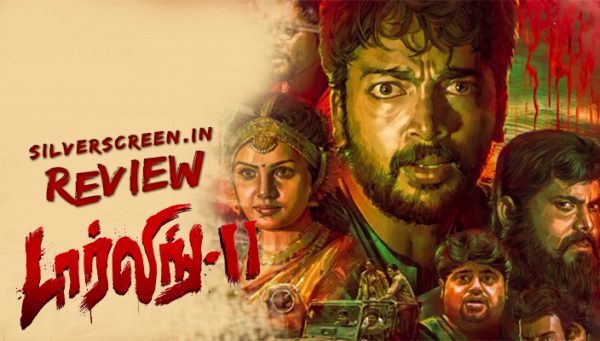 Sarjun has some things to say about female infanticide (both Yamuna and Bhavani don’t have the greatest of fathers), prejudice about skin colour and superstitious beliefs, but all that is lost when we see Nayanthara in obvious blackface. The irony seems lost on the whole crew that while making a commentary on skin colour they have painted over a fair-skinned Nayanthara. Even Amudhan’s character and his interactions with Bhavani are written in such a way that he is depicted as a saviour, not someone who instils confidence and self-esteem in Bhavani. One can argue that we needed the star to make a point, or to put it more bluntly, the star to make people buy tickets. But it ends up as a disservice to the film and its philosophy. 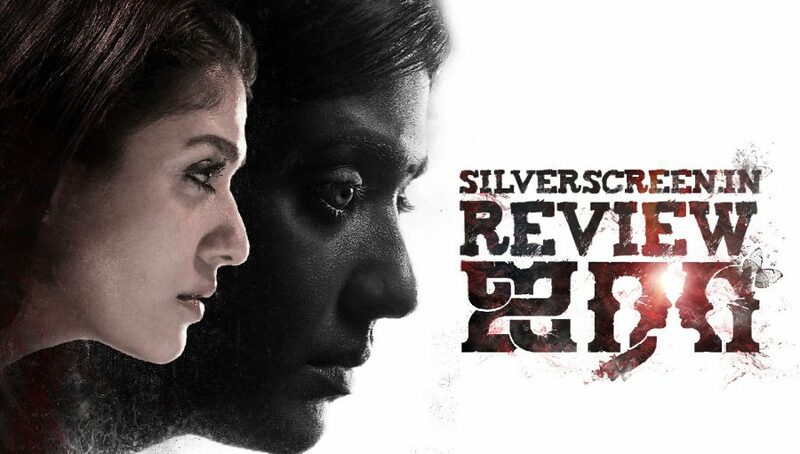 A dark-skinned actress would have brought in an individuality that’s missing with Nayanthara playing a dual role. It would have created an opportunity for intriguing conversation between a fair skinned Yamuna and a dark-skinned Bhavani. After all, isn’t individuality the thing you are striving for? What do you really believe in then? The ending too is underwhelming. It involves a series of contrivances, not as elegant as the set of dominoes in Sarjun’s initial portions following those opening credits. It even feels like a cop out. Nayanthara tries valiantly as Bhavani, though there is a ghost of Jyothika from Khushi that shows up in places. Her version of Yamuna is the Nayanthara we see in every hero-centric film of hers. That is bound to happen in films such as these, a dramatic yang will always play off the uninteresting yin. But Sarjun gives very little to play with. Airaa is neither big on drama, nor on horror. Forget two, even one Nayanthara deserves better. 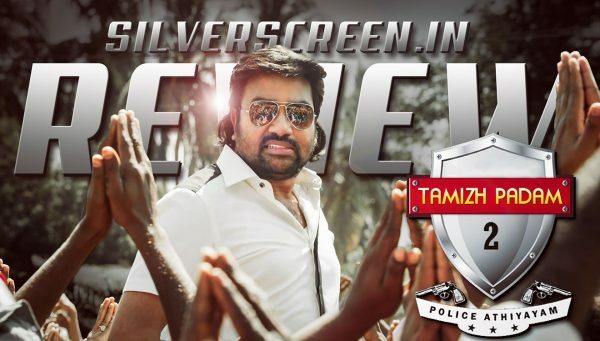 The Airaa review is a Silverscreen original article. It was not paid for or commissioned by anyone associated with the movie. 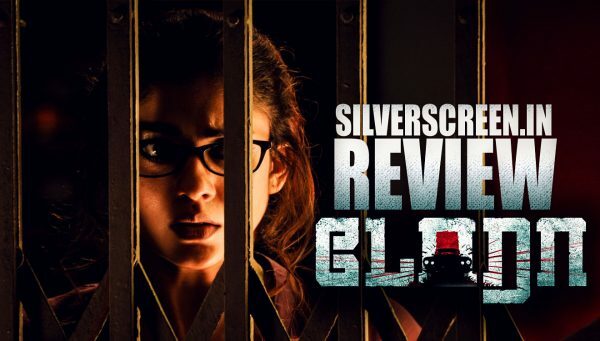 Silverscreen.in and its writers do not have any commercial relationship with movies that are reviewed on the site. Echcharikkai Idhu Manidhargal Nadamadum Idam: Where’s The Sarjun Of Short Films? Dora Review: Nayanthara Is Indeed A Superstar, But Can We Get Better Screenwriters Please?